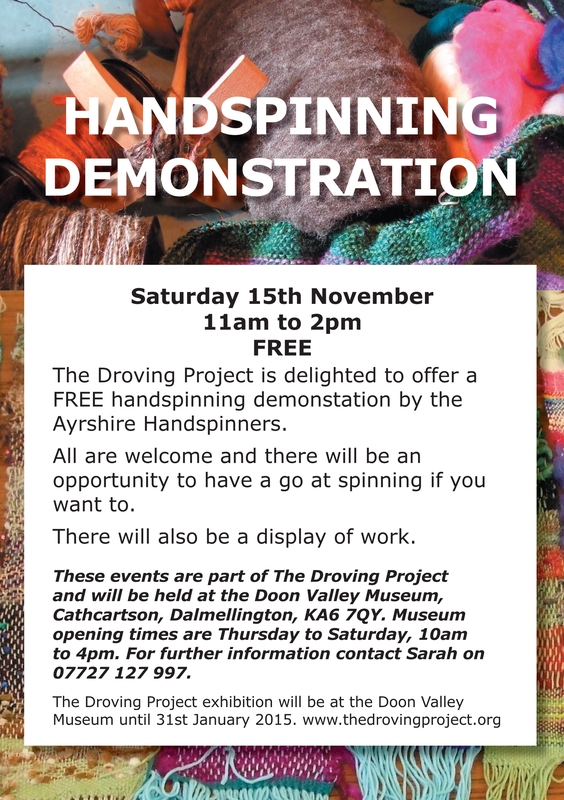 This November there is a great opportunity for people to try their hand at the traditional, functional and beautiful craft-forms of spinning and weaving as part of The Droving Project’s series of community events. Free workshops by local artist Janet Renouf Miller and a demonstration by Ayrshire Handspinners will enable participants to make fabric from raw sheep’s wool, cow hair and various other materials. 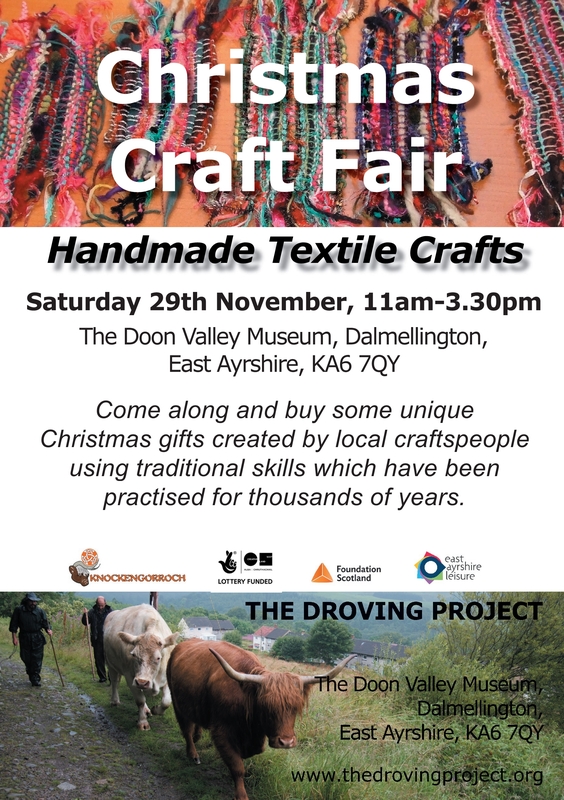 There will also be opportunity to buy beautiful handmade textiles at the Christmas Craft fair on Saturday 29th November. 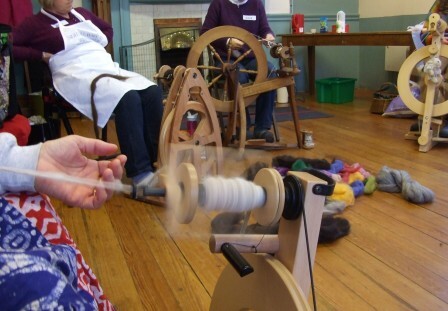 The workshops will start on Thursday 6th with an under 18’s weaving workshop, followed by an adults weaving workshop on Saturday 8 November and on Saturday 15th November there will be a spinning demonstration by the Ayrshire Handspinners. These traditional rural crafts are enjoying a national resurgence, and seeing the process up-close will allow participants to get a real feel for these activities which may be done as a hobby or even to make a living, as there is more and more demand for real handmade fibre, fabric and clothing. These workshops and events are being run as part of The Droving Project, which also has an exhibition running at the Museum until 31st January 2015. The project involved photographing, filming and recording the sounds as cattle were walked along the old drove road from Knockengorroch to Bellsbank, and the resulting beautiful exhibition has captured the imagination of all who have visited. The Doon Valley Museum, Cathcartson, Dalmellington, is open 10am to 4pm from Thursdays to Saturdays. To find out more visit www.thedrovingproject.org , email thedrovingproject@yahoo.co.uk or ring 07727 127 997. ← We’re in the Ayrshire Post!